As of writing, Smart Communications is one of the top mobile service provider in the Philippines today. With the most number of subscribers and the largest area network coverage, it’s no wonder people are flocking to this network like crazy. Smart’s Premium or high end postpaid service offering subscribers exclusive offers, premium phone packages and privileges fit for a king. The normal postpaid service of Smart Communications catering to the young and old alike. Anyone can get a postpaid plan with Smart. Not interested in getting a postpaid plan? Then a prepaid Smart Buddy plan might be the thing for you. Another mobile service provider that is in actuality a subsidiary of Smart. Using the prefix 912, Talk ‘N Text is reported to have close to 13 million subscribers and sponsors a professional basketball team in the Philippines under the same name. Currently assigned the area code 938, Red Mobile has had a very interesting story into becoming a brand under Smart Communications. Red Mobile provides highly affordable, yet very high quality 3G services to its subscribers. Welcome to the world of unlimited phone calls. Call and talk for as long as you want with any of the 38 million Smart subscribers. Another mobile service rolled out by Smart to cater to a niche market, offering basic call and SMS services. A now defunct service offered by Smart for children. Used to have both prepaid and postpaid plans. UMTS network for Smart subscribers, which offers video calls, on-demand streaming and low-speed internet browsing. Multi-platform infotainment products and services; The service includes games, messaging services and stock prices. A cashless based transaction in a reloadable cash card linked to the MasterCard network. Always stay connected even when on the go with Smart BRO. The ultimate internet companion for everyone. The easiest way to load any Smart mobile number is by using Morbie eLoading services. By using secure Paypal payment method your transaction online is 100% secure and hassle-free. Check out Morbie’s Send Load to Smart page for more details. The newest and youngest cellular service provider in the Philippines is none other than Sun Cellular. Having been relatively late in entering the game, Sun Cellular proved that it’s unique selling proposition of providing 24/7 unlimited call and text services to anyone was a winning strategy. Instantly breaking the monopoly of both Smart and Globe, Sun Cellular’s main aim is to be the Filipino’s second phone of choice. Unlimited texts or SMS to any Sun Cellular subscriber. Unlimited call and text to any Sun Cellular subscriber. Can be a postpaid or a prepaid plan. The easiest way to load any Sun mobile number is by using Morbie eLoading services. By using secure Paypal payment method your transaction online is 100% secure and hassle-free. Check out Morbie’s Send Load to Sun page for more details. Globe Telecom is one of the largest cellular networks in the Philippines. It is also one of the original pioneers of introducing mobile services to Filipinos. The easiest way to determine if a person has a Globe number or not is by checking the network prefix of their mobile numbers. As Globe continues to garner more subscribers, it continues to upgrade its services with mobile products like unlimited landline calls or Globe to Globe calls with Duo and Super Duo features. It is also one of the first to introduce 3G capabilities into the market and is also the licensed distributor of the highly popular Apple iPhone. 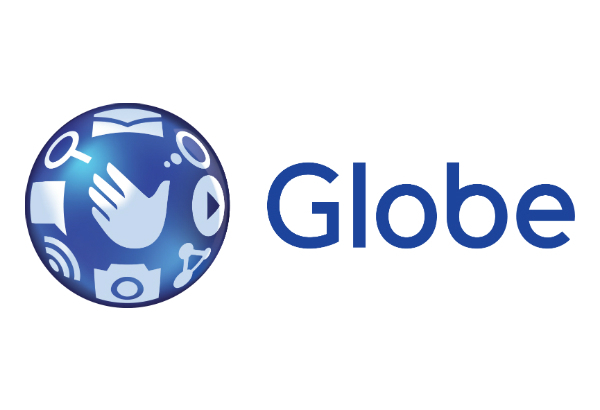 Globe Telecom today, has grown its portfolio of products into landline or fixed-line telephone services, internet broadband, mobile banking and other ventures as well. With Globe Duo subscribers get an additional fixed-line or landline number with their current Globe mobile number to call and receive landline calls from any fixed handset. And the best thing about this is the calls aren’t metered and are unlimited. A super-size me of the Globe Duo service, as aside from getting unlimited landline calls someone who opts for Globe Super Duo gets unlimited Globe to Globe calls as well. Unlimited surfing on your mobile phone. Be online all the time and get unlimited access to email, chat and surf. When you need internet on the go and prefer not to rely on shady wifi spots that charge an arm and a leg around the city, Globe Tatoo is your best bet. With a simple USB to plug into your laptop, get unlimited internet usage of upto 2 Mbps 3G connectivity. Need fast reliable internet connection at home? Then maybe you need Globe Broadband services to hook your place up with super fast broadband internet. With the goal of ensuring every Filipino who needs internet, gets it, Globe has partnered with Worldwide interoperability for Microwave Access or WiiMax to provide internet connectivity to millions around the country. For subscribers who never want to be disconnected from their chatmates and or textmates. SulitChat allows them to continue sending messages complete with emoticons even in the absence of a laptop or personal computer. GCash is simply transforming a mobile phone into a wallet. Perform cashless transactions such as money remittance, donations, loan settlement, disbursement of salaries or commissions, and payment of bills, products and services, with just a text message. Remit money directly to any Globe or Text Mobile cellphone from anywhere in the world. Using GCash to transact online securely and confidentially. Keep an eye on loved ones and family with Globe’s very own GPS tracking service. Keeps track of the Globe user by triangulating the exact position of the Globe sim card. Partnering with Apple to bring in the Apple iPhone to the Philippines. Globe has also implemented 3G services to complement the Apple iPhone as well as applications, software and other iPhone necessities. The easiest way to load any Globe mobile number is by using Morbie eLoading services. By using secure Paypal payment method your transaction online is 100% secure and hassle-free. Check out Morbie’s Send Load to Globe page for more details. There are close to 12 million overseas Filipinos worldwide. And while the majority of Filipinos leave behind the Philippines and go abroad to look for jobs, others migrate and even become permanent residents of other countries. The lack of resources and opportunities in the Philippines is obvious and this is the major reason why there are so many Filipinos abroad. One of the most admired traits of Filipinos anywhere, is their characteristic of family first, hospitality and others-first attitude. Overseas Filipinos, no matter how far they are, will stay in touch and support their families, relatives and even friends back home. A common practice of Filipinos everywhere around the world, is staying in touch and supporting people back home by sending them load or cellphone minutes. Staying in touch can mean a simple text message or a phone call and nothing says “i miss you” and “i love you” more than sending mobile load (or credits) to the Philippines. Topping up with Morbie is easy, as you can choose to send load to the Philippines’ biggest cellphone networks Globe, Smart and Sun Cellular, anytime of the day, 24/7. With Morbie, you can also choose to use your credit card or your Paypal account to send load to the Philippines as this is the safest way to transact online. So where ever you may be in the world, be it in America, Spain, South Africa, Russia or anywhere else, sending load to the Philippines with Morbie has never been easier.